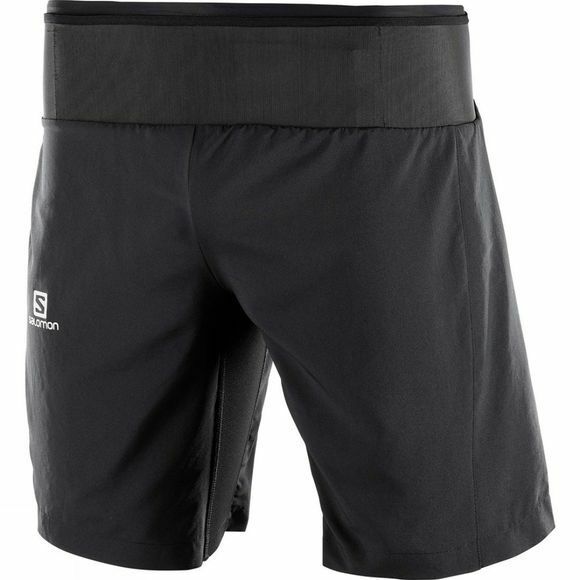 Lightweight and designed for maximum freedom of movement, the Men's Trail Runner Twinskin Shorts from Salomon will work as hard as you do out on the trails. The generous, longer length provides coverage when needed/wanted. The shorts contain breathable, supportive inserts to help soothe and provide support to muscles on the go. The elasticated waistband with drawcord provides a secure fit with some room to breathe, and the reflective detailing on the front and back gives you peace of mind you'll be seen in low visibility conditions or on dark runs after work.